The Mizutori (Crane) Wakizashi mirrors the materials, fit and finish of its larger brother in every way except size. It’s equally light and fast, and with the same high-quality materials, but at a fraction of the size, making it an exquisite companion piece to the Mizutori Katana, or a beautiful stand-alone blade. The Crane is a symbol of luck and longevity, loyalty and strength, and is a much-loved symbol in Japan. As we developed a new Katana to add to our long standing and world-renowned line-up of Japanese blades, we felt it only fitting to add the Crane as a motif. 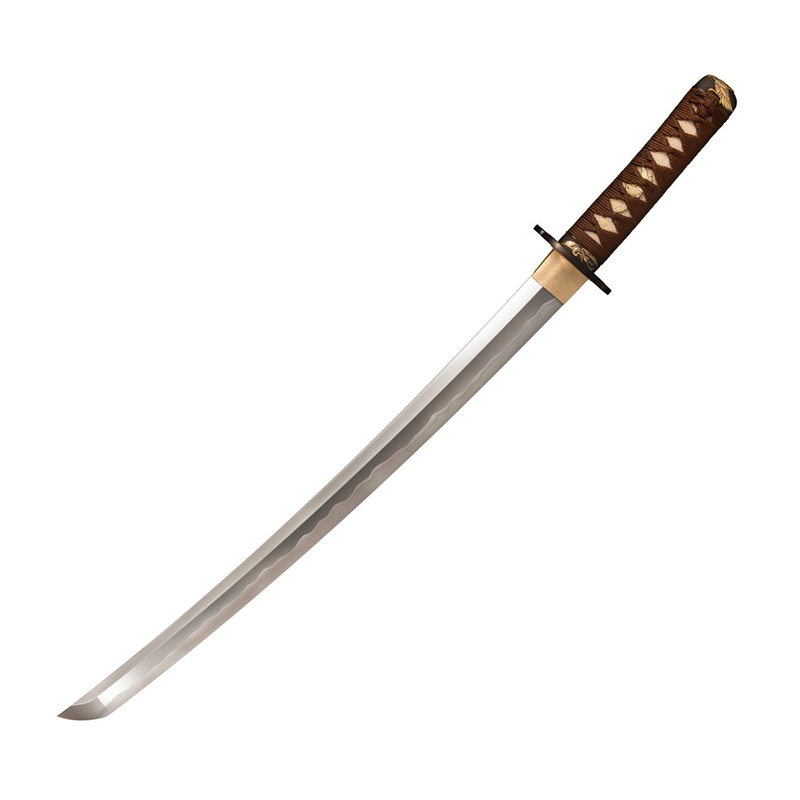 The Mizutori’s blade is made from high quality Damascus steel and differentially hardened with a clay tempered Hamon. The handsome blade features a hand sharpened Hamaguri grind with highly polished spine and blade flats. The Tsuba and Menuki both feature an iconic crane motif, and the high quality ray-skin handle is tightly wrapped in brown silk cord, adding a level of detail and beauty that must be seen to be believed. Housed inside a lustrous black lacquered Saya, the Mizutori Katana a stunning and attractive sword that is sure to become the pride of your collection! 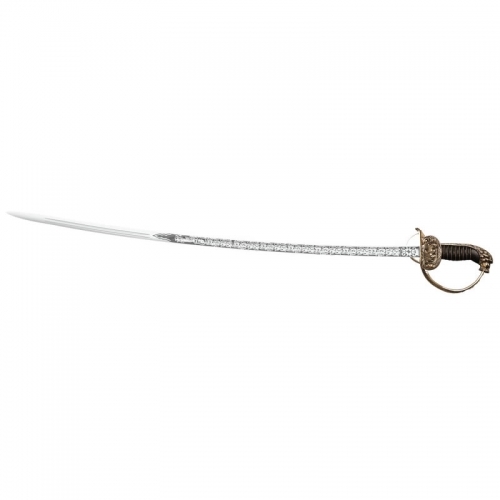 The Mizutori (Crane) Wakizashi mirrors the materials, fit and finish of its larger brother in every way except size. It’s equally light and fast, and with the same high-quality materials, but at a fraction of the size, making it an exquisite companion piece to the Mizutori Katana, or a beautiful stand-alone blade. PART # 88CKW WEIGHT 28.1 oz. THICKNESS 7mm HEAD No HAMMER FACE No PRIMARY EDGE No HAWK LENGTH No HEIGHT No BLADE LENGTH 21″ HANDLE 6 1/2″ STEEL/MATERIAL 1095 Carbon OVERALL 27 1/2″ ADDITIONAL FEATURE Samé (Ray Skin) handle with brown braid cord and brass menuki. Black lacquered wood scabbard.